You may have seen the BBC’s coverage of trampoline parks – on the news and the One Show. 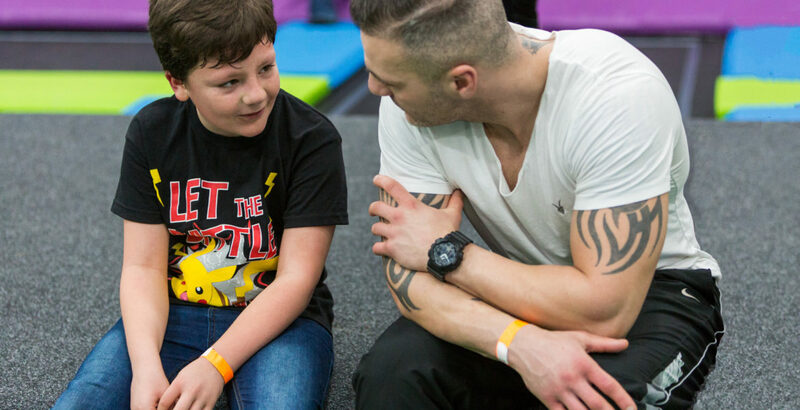 A group of organisations including British Gymnastics has called for more safety measures in place at trampoline parks and the standardisation of such measures across parks. The group has written a series of draft rules which they believe will make trampoline parks safer. These draft guidelines are yet to be released – following consultation they have been withdrawn for further editing and collation of comments. However, we have asked to be notified as soon as they are released so that we can ensure we’re enforcing them and providing as safe an experience as we can. Each person bouncing is asked to remove any sharp objects – belts, chains, jewellery etc prior to bouncing as well as to refrain from bouncing with any phones/cameras etc. We complete a 100% inspection of the trampolines daily – both the tops and the bottoms, springs and pads. Additionally a visual inspection happens every hour. The facility is brand new as we only opened in July 2016 but we also ensure the trampolines and the entire park are inspected regularly by external bodies. We have recently been inspected by our Insurance provider and the Health and Safety Executive (November 2016) and we passed both without any issues. We display the rules of each feature clearly on the wall next to each area. If these rules are not followed, our park monitors are trained to intervene. If the person bouncing fails consistently to follow the rules, the person bouncing will be asked to leave the park. Sky High Trampoline Park has had safety at its heart from the very concept, through the architectural plans to the build to the training of park attendants. However, trampolining is, by nature, a high-energy sport and as such accidents and injuries can occur. It is comparable to sports like freestyle snowboarding or skateboarding. We advise that all jumpers exercise caution until they are comfortable with the layout of the park and most importantly request that all bouncers bounce within their own ability.